The star-studded Commercial Motor Awards 2017 sees Bevan Group awarded the well-deserved Bodybuilder of the Year 2017! The evening saw over 300 of the very best in new and used vehicle sales and aftersales descend on The Vox in Birmingham. All the winners of the evening were selected by an independent judging panel, comprising of commercial vehicle operators and well-respected industry figures with long and prestigious careers at vehicle manufacturers, and a mystery shopper. Some 30 different businesses featured on the shortlist for the only awards in the industry that recognise and reward the best in new and used vehicle sales and aftersales. New for 2017 was Bodybuilder of the Year, which had the most nominees of the evening. 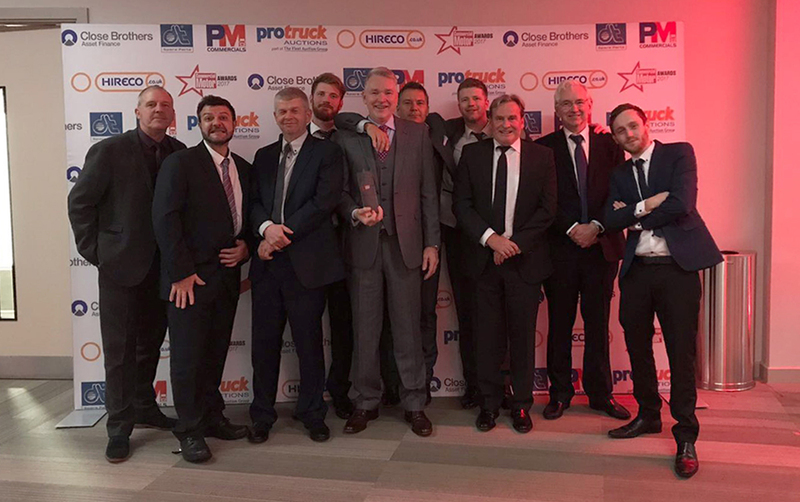 Bevan were up against some of the biggest names in the commercial vehicle bodybuilding industry including Cartwright Group, J C Payne (UK), Lawrence David, Leyland Trucks, Thompsons UK and Wilcox Commercial Vehicles. Bevan Group came out on top and won Bodybuilder of The Year 2017, the best award in their industry. Supertrucks are proud to be part of the Bevan Group. The Group are continuing to grow and they are now a multi-award-winning business, following on from the success of winning ‘Most Innovative in Vehicle Body Manufacturing Solutions – UK’ at the Corporate LiveWire Innovation & Excellence Awards 2018 last month. Bevan Group are the best bodybuilding company in the UK and now have the award to prove it.